I visited a dear friend here after months of not seeing each other. We did make some Filipino dish and even had a dinner with his family in their humble adobe. Before that, I got a picture message with a note if I ever wanted the purse. I never vacillated and I told her YES. I never deliberate on how the purse is a tote bag and it was bigger than I imagine. She was kind enough to give it to me. Instantaneously the minute I saw the tote bag personally, I feel in love with it. 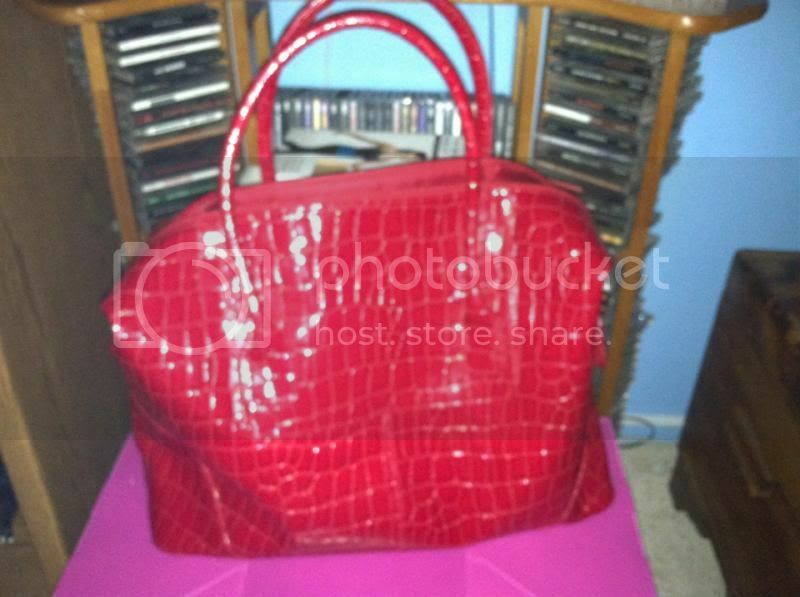 Not only because I love the color, thus it's a bigger sort tote that I wanted to own. I got it for free and I'm very thankful for my kind and generous friend, Jacky.